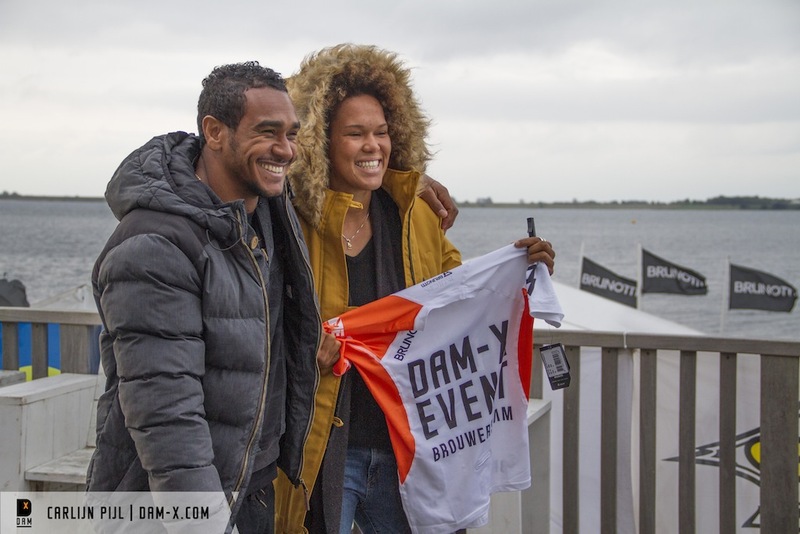 After hosting a stop of the European Freestyle Pro Tour for the first time in 2015, the organisation team of the Zeil and Surfcentrum in Brouwersdam, Holland are staging the big final of the EFPT this year. With a great set-up already last season and a flawless organisation the DAM-X is an outstanding event which makes it hard to think of a better place to hold the last freestyle event of the season. 36 men and ten ladies registered to compete for 10.000€ and 3.000€ prize-money respectively. 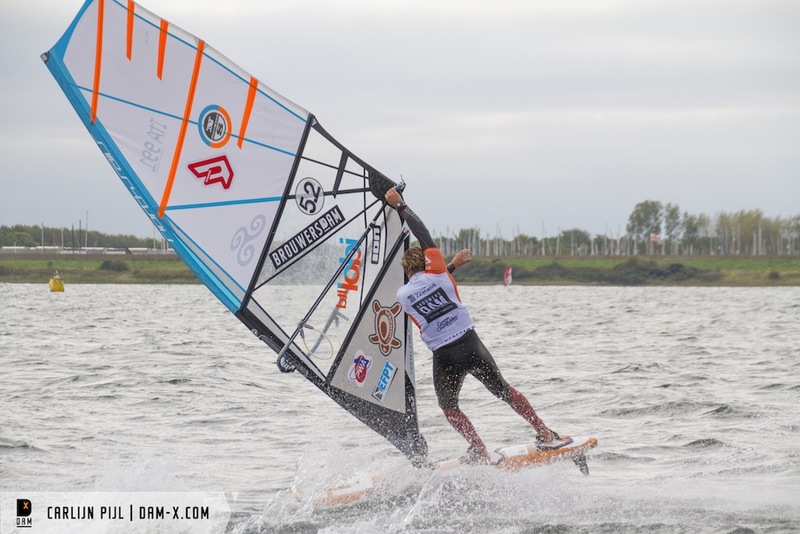 It’s great to see a very mixed fleet of pro riders like Taty Frans (Starboard), Steven Van Broeckhoven (JP/Neilpryde), Adrien Bosson (North/Fanatic) and Davy Scheffers as well as many rookies who are gaining their first contest experiences. Amongst the young-guns are local boys Bodhi Kempen (Starboard/Severne) and Jens Van Gorp (Severne/JP) as well as the remarkable talent from Greece Lennart Neubauer (Starboard/Neilpryde) who already joined the EFPT pro fleet in Croatia earlier this year. 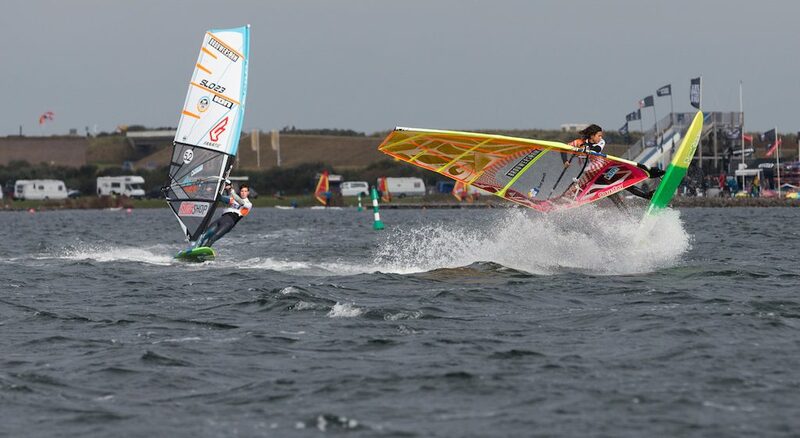 In the ladies fleet we’ll see some of the finest freestyle windsurfers of the world battleing for the crown of the European Champion. Besides multiple World-Champion Sarah-Quita Offringa (Starboard/Neilpryde), former vice World-Champion Arrianne Aukes (North/Fanatic), PWA competitor Jazzy Zwerus (JP/Neilpryde) and local top freestyle sailor Maaike Huvermann (Starboard/Severne), some rookies are ready to mix it up. 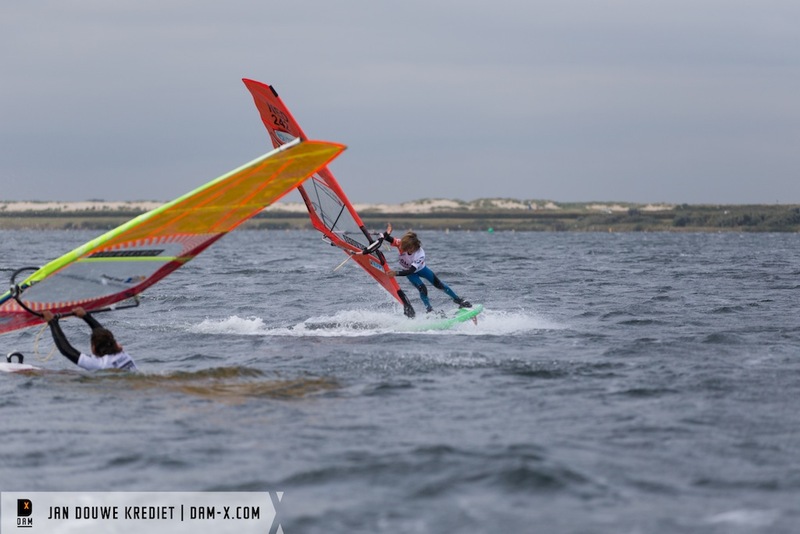 Margo Kurvink and Tess Van der Hulle, both from Holland will have their debut on tour, just as Austrian freestyle windsurfer Hanna Poschinger and the Italian lady Marianna Vagni. Latter is lucky enough to call Fuerteventura her home, the same training ground that EFPT newbie Alexa Escherich (JP/Neilpryde) uses to push her level during the summer months. The ten women who are competing in the second ever European Freestyle stop for ladies are completed by Farrah Hall (JP/Neilpryde) from the United States, who is an Olympic RSX racer competing in the American team. Just after 11.00 am this morning the horn for the first heat went off with suitable conditions for sailsizes between 5.2 and 4.8. With a heat duration of seven minutes and three minutes transition the men were sent out first. In the first heats local riders Rik Coumans and Marc Pesman (Starboard/Severne) advanced over their opponents Jens Van Gorp (Severne/JP) and Tigo Kort (Starboard/Severne) respectively. EFPT rookie from Slovenia Filip Rogelj (Fanatic/North) could take down Nascimo Fournier (Patrik) and Richard Richie (Starboard) from Curacao sailed a solid heat to defeat 12-years old Bodhi Kempen (Starboard/Severne), who proved some good nerves in his first international competition landing spocks, vulcans as well as going for flakas and switch moves. 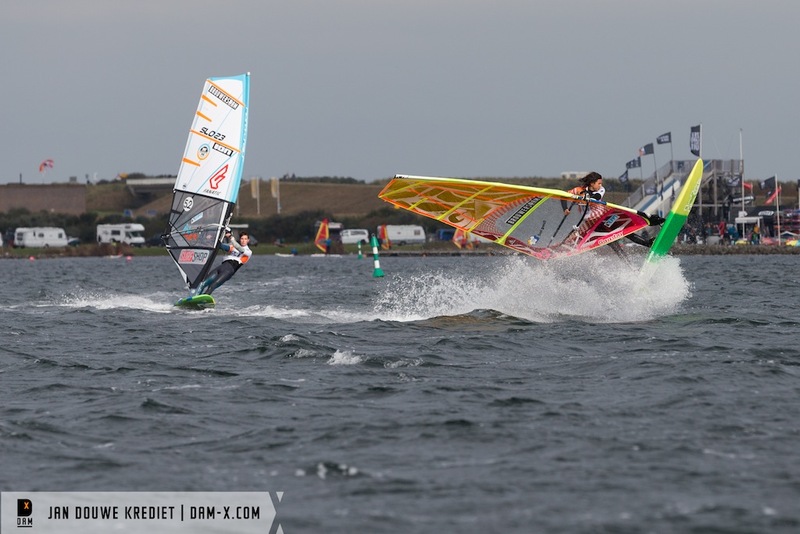 In the second round the level was rising drastically with Giovanni Passani from Italy sailing against Estonian freestyle pro Tony Mottus (JP/Neilpryde) and local Mats Moyson (Patrik) against Jacopo Testa. Latter has been shown an incredible performance in the EFPT Lanzarote earlier this year where he ended up on 3rd place. Testa spun through a double spock, several power moves and a very nice regular chachoo, whilst Moyson showed his risen level comapre to last year. Both Mottus and Passani filled up their judging sheets in a very close heat which ended with a 2:1 decision favoring the Italian. In heat number 10 Loick Spicher from Switzerland could beat young-gun Lennart Neubauer (Starboard/Neilpryde) from Greece in decreasing winds. Adrien Bosson (North/Fanatic) from France who is currently in second position of the European ranking was once again proving his skills in various conditions and took down local sailor Coumans. Due to the dropping wind heat 11 with Mattia Fabrizi (North/Fanatic) against Hugo Sousa from Brazil and Taty Frans (Starboard) against Alexey Karachevtsev unfortunately had to be cancelled. The competitors were held on 30 minute announcements during the afternoon and were released at 6.00pm. With a very promising forecast for tomorrow, the skippers meeting was schedulded for 8.00 am with the first possible start at 8.30. DAM-X Action clip 2016 day 1 from DAMXevent on Vimeo.